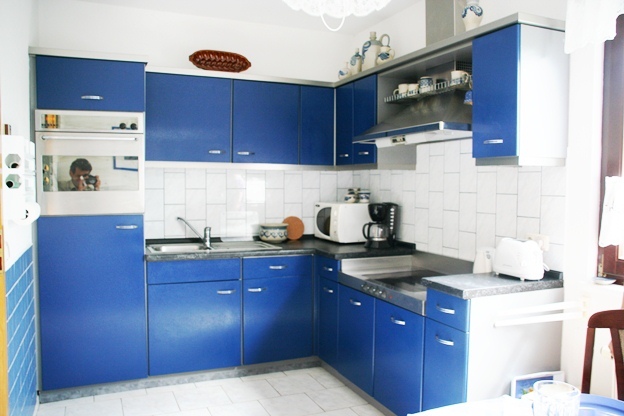 -	The kitchen sized10 m² is spacious and fully furnished. There is a fridge with freezer, a dishwasher, an oven, a ceran stove, a microwave, a coffee machine and a toaster. 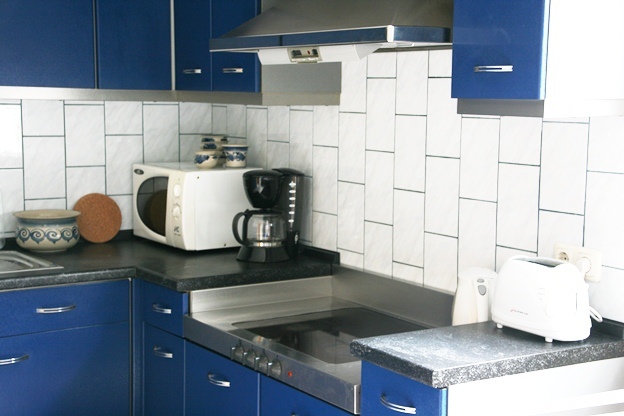 You will find glasses, dishes, pots, pans, cutlery and other utensils in the cupboards. 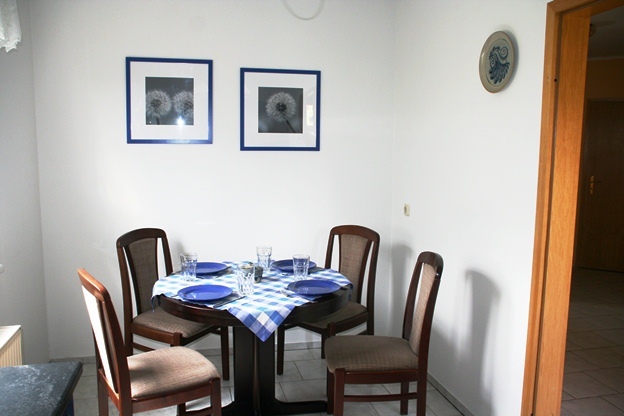 There can comfortably dine four people in the sitting area.